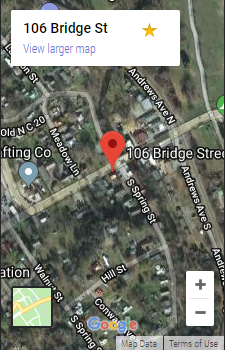 We are conveniently located on NC route 209, 9.7 miles south of Hot Springs, NC. Newly remodeled with comfort in mind. Queen size bed, with a single size sleeper sofa in living area, kitchenette has 2 burner/oven appliance, coffee maker, eletric kettle, compact fridge and a double sink. Pots/pans, dishes, flatware and other utensils for your use. Bathroom has shower. All linens provided. Large front porch also has deck area with table/chairs. Fenced back yard keeps children and dog within eyesite. We have a quarter mile walking path by our pond, and Spring Creek runs through our property which is stocked with trout. Great place to just come and relax.